Made of maple wood with a smooth, natural varnished finish. Keep your ties, neatly stored, and easily accessible. 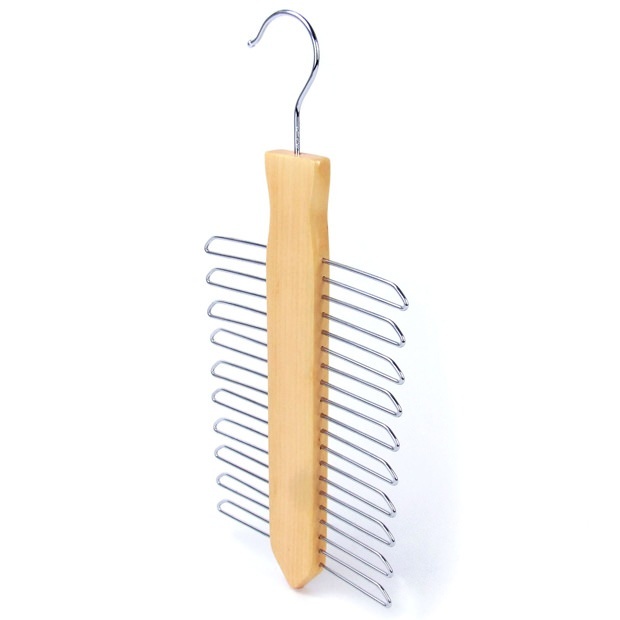 Space-saving versatile hanging for 20 ties. Strong polished chrome swivel hook with rounded hook end. Great idea for an unusual, sophisticated & practical boxed gift! Size: Width x Height 15.5cm x 34cm (6.1" x 13.4") approx.